The Gretsch Electromatic work shirt is perfect for the shop, the stage, or going to your favorite concert! 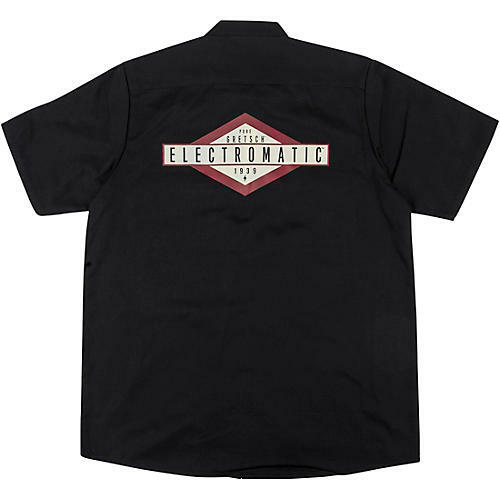 It features a screen printed Electromatic logo on the back, and the Gretsch logo on the front. It also has 2 front pockets. It’s a 65/35 polyester/cotton blend, so it won’t shrink in the wash. Available in sizes small through 2XL.